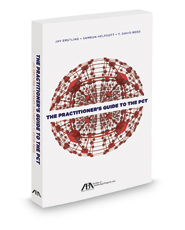 Published by the American Bar Association (ABA), The Practitioner's Guide to the PCT demystifies the The Patent Cooperation Treaty (PCT) system to help practitioners employ the PCT to their client's advantage. The PCT is the heart of the international patent system and should be considered in every applicant's patent filing strategy. When it is used appropriately, the PCT is a cost-effective option for international patent protection, and provides numerous benefits for applicants, patent offices, and third parties. With opaque rules and obscure terminology, using the PCT can cause confusion and is a difficult system to master. In addition, the book includes invaluable supplemental materials, including WIPO resources, glossaries of terms and abbreviations, and an informed discussion on the future of the PCT.